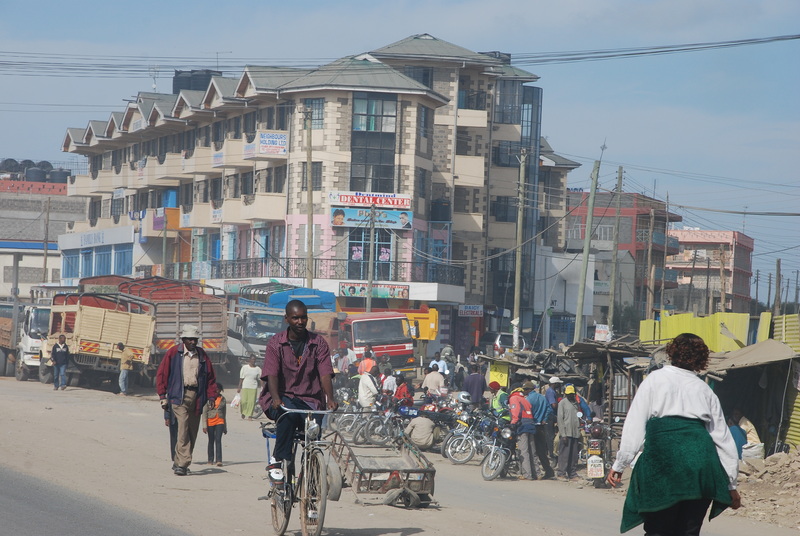 Kenya occupies a total area of 582,644 sq. km and straddles the Equator. It shares common borders with 5 (five) nations namely; Tanzania to the south, Uganda to the west, South Sudan and Ethiopia to the north and Somali to the east. The country has a rich diversity of land forms from glacial ice to arid desert, mountains to rich savannas, large lake and dense forests. The semiarid and arid areas in the north and northeast are part of a vast region extending from the Ugandan border through Lake Rudolf to the plateau area between the Ethiopian and Kenyan highlands. (The area from Lake Magadi southward, though not as arid, has the same characteristics.) Although tree and grass cover is scanty there, the areas of true desert are limited to the Chalbi Desert east of Lake Rudolf. 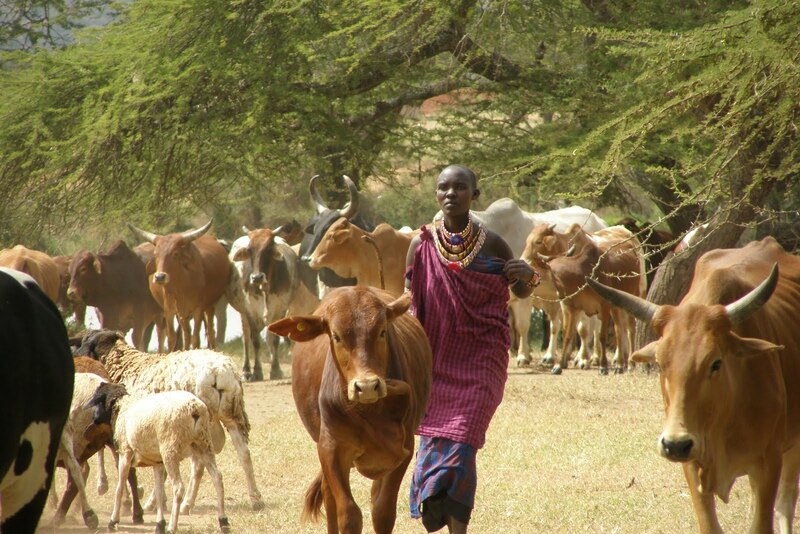 The movement of people and livestock is strictly limited by the availability of water. 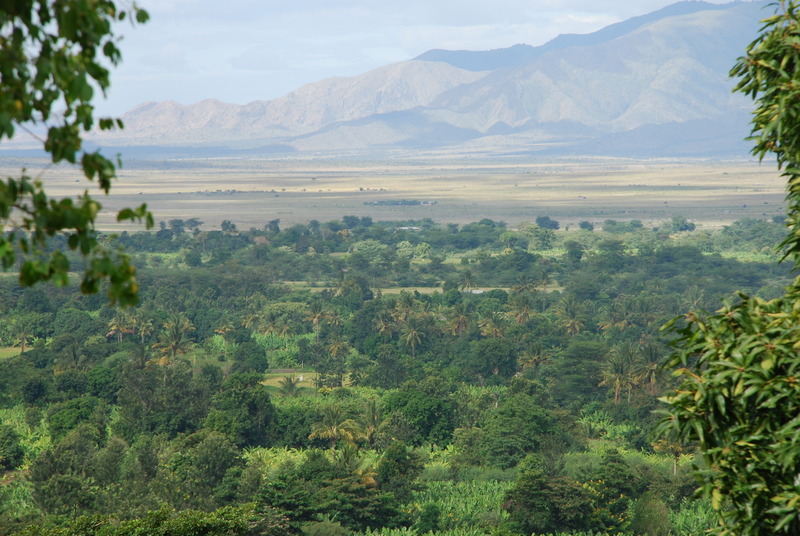 The coastal plain proper, which runs for about 250 miles (400 km) along the Indian Ocean, is a narrow strip only about 10 miles (16 km) wide in the south, but in the Tana River lowlands to the north it broadens to about 100 miles (160 km). Farther northeast it merges into the lowlands of Somalia. The excellent natural harbours include that of Mombasa, which is one of the best in East Africa. Kenya’s currency, the Kenyan shilling (Ksh), is a colonial legacy based on the old British currency (as in pre-decimal Britain, Kenyans occasionally refer to shillings as “bob’’). There are notes of Ksh1000, 500, 200, 100 and 50, and coins of Ksh20, 10, 5, 1 and 50 cents (half a shilling). In Kenya, prices are indicated either by Ksh or by the /= notation after the amount (500/= for example). Because the Kenya shilling is a weak currency, prices for anything connected to the tourist industry tend to be quoted in US dollars. Cash dollars, together with British pounds and euros, are invariably acceptable, and often preferred, as payment. People often have calculators and know the latest exchange rates. If you take US dollar bills to Kenya, be sure they are less than five years old as they won’t be exchangeable in many places otherwise. While most prices are given in Kenyan shillings or US dollars, the occasional use of euros or pounds sterling reflects the way hotels and tour operators price their services. The best way to carry your money is in the form of plastic. Credit and debit cards are more secure than cash, can be used to withdraw cash from ATMs and increasingly to buy things. Visa and MasterCard are the most common, but Cirrus and Plus cards are also accepted at some ATMs. Also useful are pre-paid currency cards (also known as travel money cards or cash passports) affiliated with Visa and MasterCard, which can also be used to withdraw money at ATMs. As well as at banks, ATMs can also be found at petrol stations and shopping malls. On the street, always find one inside a secure booth or with a guard on duty. ATMs usually offer the best rate of exchange, but home banks charge a fee for withdrawing cash from a foreign ATM and there may be a daily limit. Visa and MasterCard are widely accepted for tourist services such as upmarket hotels, curio shops and restaurants, flights, safaris and car rental. There’s usually a five-percent mark-up on top of the price for the cost of the transaction to the company. Most nationals, including British, US, Australian, New Zealand and EU passport-holders, need visas to visit Kenya. Nationals from a number of African countries are exempt, including South African passport-holders, who are allowed a visa-free stay of up to thirty days. Also ensure that your passport will remain valid for at least six months beyond the end of your projected stay, and that it has at least two blank pages for stamps – this is a requirement, not just a recommendation. Visas can be obtained in advance from Kenyan embassies or high commissions, either in person or by post. A single-entry visa (valid for ninety days) costs $50 or equivalent. A transit visa (allowing you to enter Kenya for a maximum of 72 hours before flying to a neighboring country) costs $20 or equivalent. If you’re not leaving the airport, a transit visa is not required. A multiple-entry visa costs $100 and is valid for a year. In September 2015 a new eVisa service was introduced (evisa.go.ke) allowing you to upload your passport details and photo, pay for the visa in advance by credit card, and print out an approval form to take with you. It is still usually easier to get your visa on arrival. No photos are required and you pay in cash (new notes) only. A single-entry visa allows re-entry to Kenya after a visit to Uganda or Tanzania. For other trips beyond Kenya’s borders, unless you have a multiple-entry visa for Kenya (obtainable only at an embassy or on arrival), you will need another visa to get back in. If you intend to stay beyond the period written in your passport, you should renew the visitor’s pass before it expires, assuming your visa is still valid, which should be free. If your visa is also about to expire, you’ll need to buy a new one. 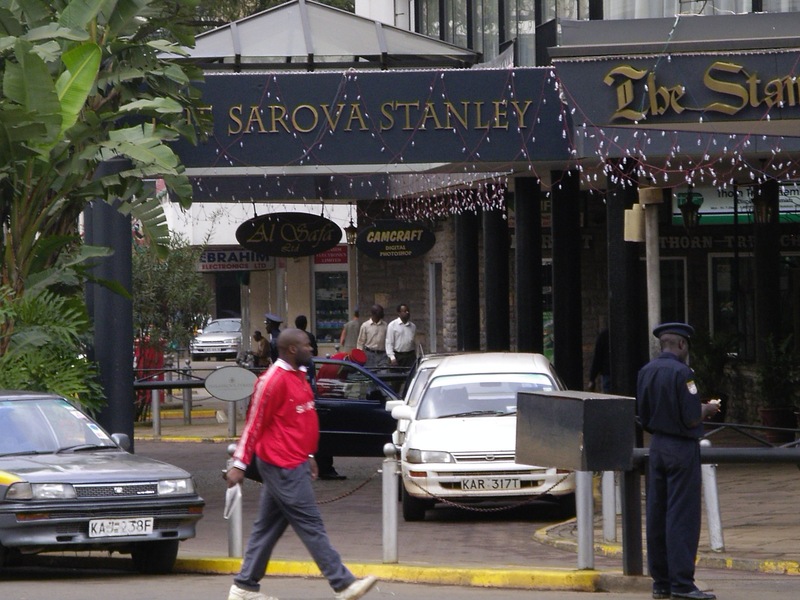 You can stay in Kenya for a maximum of six months as a tourist, after which time you’ll have to leave East Africa. Visitor’s pass and visa renewals can be done at the immigration offices in Nairobi, Mombasa, Lamu, Malindi and Kisumu. Seasonal climatic changes are controlled by the large-scale pressure systems of the western Indian Ocean and adjacent landmasses. From December to March, northeast winds predominate north of the Equator, while south to southeast winds dominate south of it. These months are fairly dry, although rain may occur locally. The rainy season extends from late March to May, with air flowing from the east in both hemispheres. From June to August there is little precipitation, and southwest winds prevail north of the Equator as southeast winds prevail in the south. In the Lake Victoria basin, annual precipitation varies from 40 inches (1,000 mm) around the lakeshore to more than 70 inches (1,800 mm) in the higher elevations in the eastern areas. The lakeshore has excellent agricultural potential because it can expect 20 to 35 inches (500 to 900 mm) in most years. Daily maximum temperatures range from 80 °F (27 °C) in July to 90 °F (32 °C) in October and February. In the Rift Valley, average temperatures decrease from about 84 °F (29 °C) in the north to just over 61 °F (16 °C) around Lakes Nakuru and Naivasha in the south. The adjacent highlands are generally moderate, with average temperatures ranging between 56 and 65 °F (13 and 18 °C). The floor of the Rift Valley is generally dry, while the highland areas receive more than 30 inches (760 mm) of rain per year. The reliable precipitation and fertile soils of the Mau Escarpment form the basis for a thriving agricultural sector. In the eastern plateau region, annual precipitation in most areas averages 20 to 30 inches (500 to 760 mm), although agriculture is hampered by extremely variable precipitation. The semiarid and arid regions of northern, northeastern, and southern Kenya have high temperatures but very erratic precipitation. Most places experience average temperatures of 85 °F (29 °C) or more, while annual precipitation is only about 10 inches (250 mm) in the north and less than 20 inches (500 mm) in the south. In most parts of the coast, average temperatures exceed 80 °F (27 °C) and relative humidity is high year-round. From the humid coast, where annual precipitation is between 30 and 50 inches (760 and 1,270 mm), precipitation decreases westward to about 20 inches (500 mm) per year. A diverse geography means a variable climate across the country but Kenya is considered a year-round destination for both safaris and beach holidays. Most Kenya safari destinations are at their best between January and the end of March; the climate is mild, mostly dry and game viewing is at its peak. Naturally, this time is considered the best time to go to Kenya on safari but a rainy season visit – between mid-March to June and again between October and December – is well worth considering in order to avoid the peak-season crowds and to take advantage of cheaper, off-season rates on accommodation and tours. If however it’s a case of choosing when to go to Kenya for the Masai Mara wildebeest migration, then go between mid-August and late October when the herds have returned from their months in Tanzania’s Serengeti. The best time to visit Kenya beach destinations is a moot point: Kenya’s Indian Ocean coast is hot and humid all year round and rain can fall at any time. We would however recommend avoiding the coast during the mid-March to late May season when temperatures and rainfall are at their highest. Jomo Kenyatta International Airport (NBO) inNairobi. Approximately twenty minutes from the main business district. Kisumu International AirportKisumu the main airport connecting western Kenya with the world. EldoretInternational Airport (local flights and cargo only). Train services link only Kenya’s major cities. There is no passenger train service linking Kenya with neighbouring countries, though there are cargo lines. In any hoteli (cheap local café-restaurant) there is always a list of predictable dishes intended to fill customers’ stomachs. Potatoes, rice and especially ugali (a stiff, cornmeal porridge) are the national staples, eaten with chicken, goat, beef, or vegetable stew, various kinds of spinach, beans and sometimes fish. Portions are usually gigantic; half-portions (ask for nusu) aren’t much smaller. But even in small towns, more and more cafés are appearing where most of the menu is fried – eggs, sausages, chips, fish, chicken and burgers.The standard blow-out feast for most Kenyans is a huge pile of nyama choma (roast meat, usually goat, beef or mutton). Nyama choma is usually eaten at a purpose-built choma bar, with beer and music the standard accompaniments, and ugali and greens optional. You go to the kitchen and order by weight (half a kilo is plenty), direct from the butcher’s hook or out of the fridge. After roasting, the meat is brought to your table on a wooden platter, chopped to bite-size with a sharp knife, and served with crunchy salt and kachumbari – tomato and onion relish. Snacks, which can easily become meals, include samosas, chapattis and miniature kebabs (mishkaki). Also look out for mandaazi (sweet, puffy, deep-fried dough cakes), and mkate mayai(“bread of eggs” in Swahili), a light wheat-flour pancake wrapped around fried eggs and minced meat, usually cooked on a huge griddle. Snacks sold on the street include cassava chips, roasted corncobs, and, in country areas, at the right time of year, if you’re lucky, roasted termites (which go well as a bar snack with beer). Breakfast varies widely. Standard fare in a hoteli, or in the dining room of a B&L, consists of sweet tea and a chapatti or a doorstep of white bread thickly spread with margarine. Modest hotels offer a “full breakfast” of cereal, eggs and sausage, bread and jam and a banana, with instant coffee or tea. If you’re staying in an upmarket hotel or safari lodge, breakfast is usually a lavish acreage of hot and cold buffets that you can’t possibly do justice to. The national beverage is chai – tea. Universally drunk at breakfast and as a pick-me-up at any time, the traditional way of making it is a weird variant on the classic British brew: milk, water, lots of sugar and tea leaves are brought to the boil in a kettle and served scalding hot (chai asli). It must eventually do diabolical dental damage, but it’s quite addictive and very reviving. The main tea-producing region is around Kericho in the west, but the best tea tends to be made on the coast. These days, tea is all too often a tea bag in a cup, with hot water or milk brought to your table in a thermos. Coffee, despite being another huge Kenyan export, is often just instant coffee granules if ordered in a cheap hotel or restaurant. However local chains of American-style coffee shops have sprung up in Nairobi, Mombasa and Nakuru and it’s steadily getting easier to order a latte or cappuccino, often accompanied by a swoosh of air-conditioning and free wi-fi. Prices reflect the modern interiors and the baristas’ professional training, and an espresso will cost at least Ksh200 and a frothy coffee up to Ksh400. Nevertheless, the coffee is often excellent, and many chains such as Java House and Dorman’s also sell packets of Kenya-produced coffee beans. Breakfast with a good cafetière of the excellent local roast is also increasingly the norm, especially in upmarket places. Soft drinks (sodas) are usually very cheap, and crates of Coke, Fanta and Sprite find their way to the wildest corners of the country. The Krest brand (also produced by Coca-Cola) produces a good bitter lemon, tonic and soda, but their ginger ale is a bit watery and insipid; Stoney ginger beer has more of a punch. 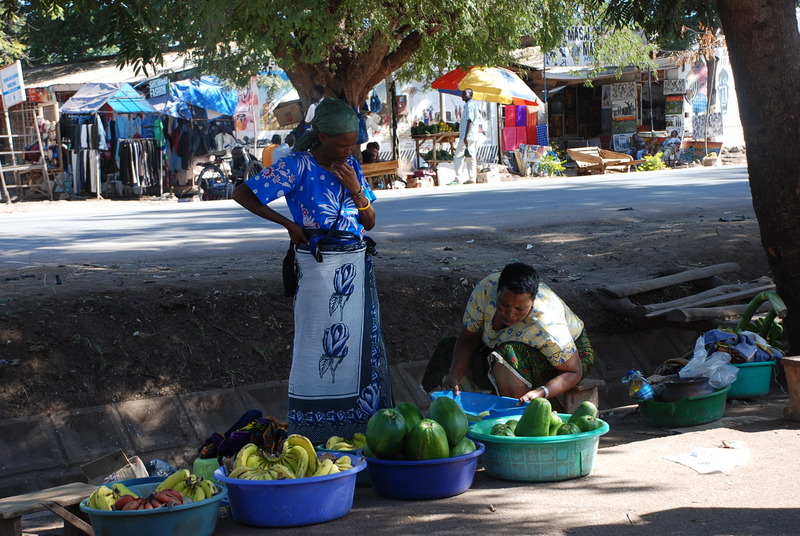 Fresh fruit juices are available in the towns, especially on the coast (Lamu is fruit-juice heaven). Passion fruit or mango, the cheapest, are excellent, though nowadays are likely to be watered-down concentrate. Some places serve a variety: you’ll sometimes find carrot juice and even tiger milk, made from a small tuber (the tiger nut or Spanish chufa). Minute Maid is the most popular commercial juice brand (again also owned by Coca-Cola), and comes in small 300ml and large one-litre cartons in various flavours. Their drinks are available at supermarkets and many petrol station shops, along with fizzy soft drinks. If you like lager, you’ll find Kenyan brands generally good. Brewed by East African Breweries, the main lagers are Tusker and White Cap (both 4.2 percent) and Pilsner (4.7 percent), sold in half-litre bottles, with Tusker Malt (5.2 percent) in 300ml bottles. While Tusker Malt is fuller-flavoured, Tusker, White Cap and Pilsner are all light, slightly acidic, fairly fizzy, well-balanced beers that most people find very drinkable when well chilled. East African Breweries also produce a head-thumping 6.52 percent-alcohol version of Guinness. A number of slightly pricier (about ten percent more) imported beers are also available, mostly under the umbrella of South Africa’s SABMiller, including Castle Lager, Castle Milk Stout, Castle Lite and US brand Miller Genuine Draft. Also look out for South Africa-produced Savanna Dry, a clear, refreshing and dry-tasting cider that is usually thrown into cool boxes along with the beer for sundowners at safari lodges. Most of the usually familiar wines sold in Kenya come from South Africa and Chile, with Italy, California, France and Spain also featuring. Locally made wines struggle a little, but Rift Valley Winery makes the increasingly well-known Leleshwa (leleshwa.com). Kenya Cane (white rum) and Kenya Gold (a coffee-flavoured liqueur) deserve a try, but they’re nothing special. One popular Kenyan cocktail to sample is the dawa (“medicine”) – a highly addictive vodka, white rum, honey and lime juice mix, poured over ice and stirred with a sugar stick. There’s a battery of laws against home brewing and distilling, perhaps because of the loss of tax revenue on legal booze, but these are central aspects of Kenyan culture and they go on. You can sample pombe (bush beer) of different sorts all over the country. It’s as varied in taste, colour and consistency as its ingredients: basically fermented sugar and millet or banana, with herbs and roots for flavouring. The results are frothy and deceptively strong. On the coast, where coconuts grow most plentifully, merely lopping off the growing shoot produces a naturally fermented, milky-coloured palm wine (mnazi or tembo), which is indisputably Kenya’s finest contribution to the art of self-intoxication. It’s bottled, informally, and usually drunk through a piece of dried grass or straw with a tiny filter tied to the end. There’s another variety of palm wine, tapped from the doum palm, called mukoma. Although there is often a furtive discretion about pombe or mnazi sessions, consumers rarely get busted. Not so with home-distilled spirits: think twice before accepting a mug of chang’aa. It’s treacherous firewater, and is also frequently contaminated with industrial alcohol, regularly killing drinking parties en masse. Sentences for distilling and possessing chang’aa are harsh, and police or vigilante raids common.